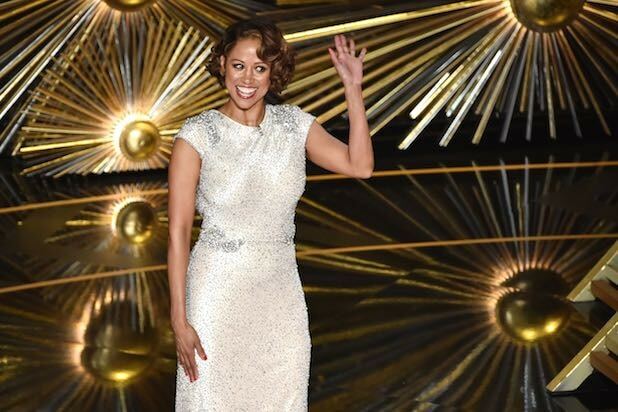 Stacey Dash just made an appearance at the Oscars, and it may go down as the most awkward moment of the evening. The “Clueless” actress, who is now making a name for herself by giving her opinions about things on Fox News, was welcomed to the stage by host Chris Rock after a very funny sketch imagining black actors in some of the year’s biggest movies. “I cannot wait to help my people out,” she declared to little (if any) laughter or applause from the various stars populating the Dolby Theatre. Then she walked off stage, and the show went on. Dash gave the unpopular opinion when “Fox & Friends” co-host Steve Doocy asked for her thoughts on the #OscarsSoWhite uproar.